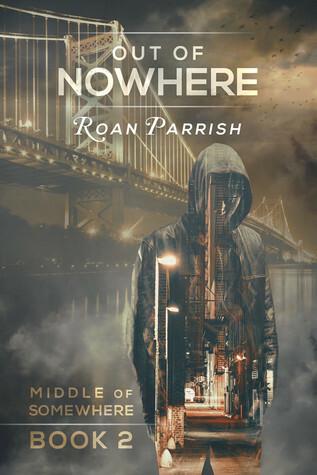 'Out of Nowhere' is the second book in Roan Parrish's 'Middle of Somewhere' series and very possibly not only the best one yet...but the best one...period...end of sentence. This is Colin's story and Rafe's. But it's more than that. This is about family. Something we all want and we all get but for each of us it's never the same. The word family can mean so many different things to a person and when it works and it's right, it's the best thing ever, but when it doesn't work it can tear you apart leaving nothing but broken pieces in its wake, pieces that may never fit back together no matter how hard you try. For Colin his family ceased to work when his mother died. Life became an endless cycle of working in the auto shop with his dad and brothers, trying to avoid panic attacks and control his rage. Running helps, lifting weights helps and when those things fail there's drinking. For him admitting he's gay isn't even on his radar let alone an option. Colin lives and breathes for his father's acceptance...something he knows he may never have no matter how hard he tries...but it's his father and do any of us ever really give up trying to have that one thing that we should all come into the world with...the unconditional love and acceptance of our parents? I'm not sure that I truly believe we do. I think if we don't have it we either learn to live with the conditional love and acceptance that we're given or we find a way to live with the fact that it's something we'll never have. Little by little we are shown how Colin's soul is being shredded and he's losing himself in his efforts to gain his father's approval until Rafe finds him. Rafe sees past Colin's misery and self-destruction and the man that's hiding there calls to him. Rafe's not perfect he's got his own set of problems but he's a fighter and he knows how to wage a war. He's done battle with a past that he wants to leave behind to create a future worth having. Rafe also knows about family because unlike Colin's his understands about loving and supporting each other when the chips are down. I first encountered Colin towards the end of book 1 'In the Middle of Somewhere' and if you had told me then that this author could make me even like him. I would have laughed so much...seriously ROFLMAO!!! that would have been me and now I have to say I would have been wrong. I definitely like Colin...a lot. I wanted to feed him milk and cookies and give him a teddy bear to hug along with a bit of tough love because it may be the hardest thing in the world to do but sometimes it's what our kids need from us the most. 'In the Middle of Somewhere' showed us a glimpse of the Colin that is but 'Out of Nowhere' showed us the the Colin that was, more of the one that is and wrapped up with the Colin that will be and this is the Colin that I came to adore and think any parent would and should be proud of. More than anything what I loved about this book was that Ms Parrish gave us such a real person in Colin. There are a lot of book characters that I can think of that I love, whom I really enjoyed reading about but very few felt as real to me as Colin did. He could so easily be my neighbor, my friend's brother, my brother. 'Out of Nowhere' wasn't an easy story to read it was dark and heartbreaking and had such a strong dose of realism to it for me. Sometimes I needed to just put it down and take a break but always I needed to see it through because for all it's darkness and heartbreak at the end of it all was love and hope and promise for Colin and Rafe and the future they were both willing to fight for together. 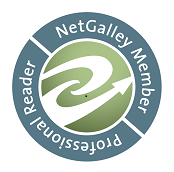 If you read the first book and you didn't like Colin try this one. I think he'll change your mind about him and if not at least you'll gain some insight about the ending of 'In the Middle of Somewhere'.